Our buddy Andrew over at Androinica introduced us to this game yesterday called Stupid Zombies and we haven’t been able to put it down. The idea is similar in a way to Angry Birds, but it involves guns, zombies, blood and even more “strategery”, which is exactly why we love it. 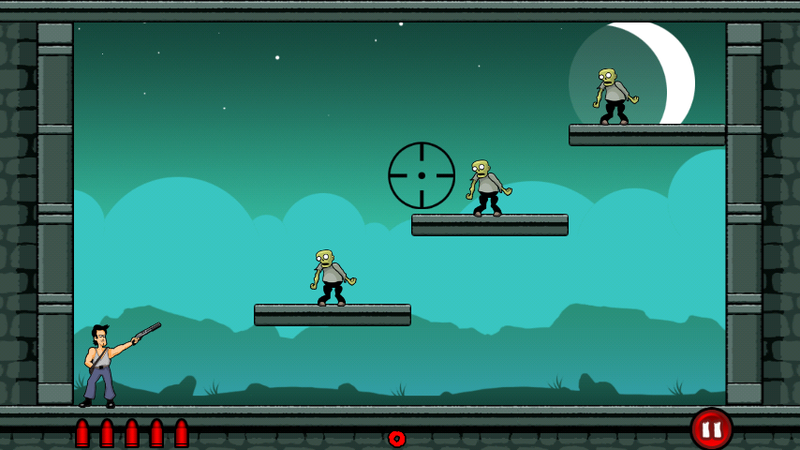 Your goal is to kill off all zombies on each level with as few shots as possible, but you have to utilize angles and bounces, so the game becomes much harder than say, just pulling back on a slingshot and letting a bird fly. You are awarded up to 3 stars for each level, can unlock new ones, and will probably spend countless hours of today trying to beat it as there are 60 to get through in stage 1 alone. Wednesday Poll: Motorola XOOM Tomorrow? Waiting for Next Week's iPad2 Announcement?